Dedicated to Daniel is your #1 online source for the latest news, photos, videos, and information relating to British actor Daniel Craig and his brilliant career. Welcome and enjoy your stay! 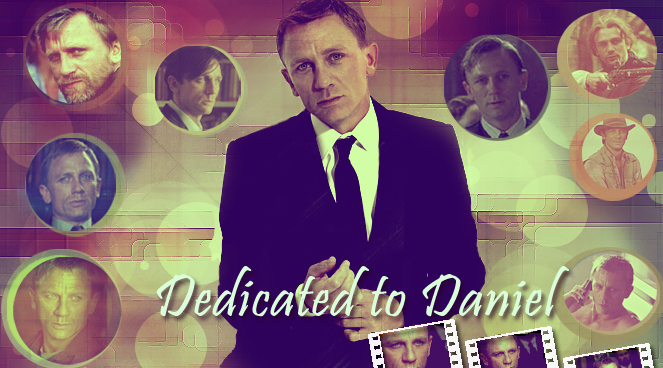 If you have anything related to Daniel Craig to share, please email us. If you wish to register for our Forum, please send an email to DtD email address. You will then receive an email with information on how to get an account. Please read the forum's rules here while you wait for further instructions.